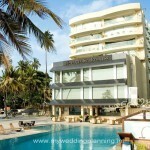 Sea Princess, a popular Juhu Hotel is a famous wedding venue that exudes elegance and charm at every corner. Celebrate an unforgettable wedding in timeless luxury at Sea Princess as it brings new meaning to stylish, luxurious and relaxed beachfront wedding venues. With stunning indoor and outdoor wedding options, unique settings and captivating wedding themes all nestled in an exclusive destination; Sea Princess promises you an extraordinary celebration, with a lifetime of romantic memories.The property is a haven of peace and tranquility set right in the heart of bustling up-market Juhu. It is strategically located near the beach , and perfect for couples who want to enjoy a stellar beach-front wedding. The hotel has been distinguished as a wonderful mix of exquisite restaurants, fine private club and leisure cluster rolled into one. If you seek luxurious five star accommodations, with breath taking sea views, exemplary service, and all the comforts of a modern city hotel along with the conveniences of a family destination, at a price that is great value for money… look no further. 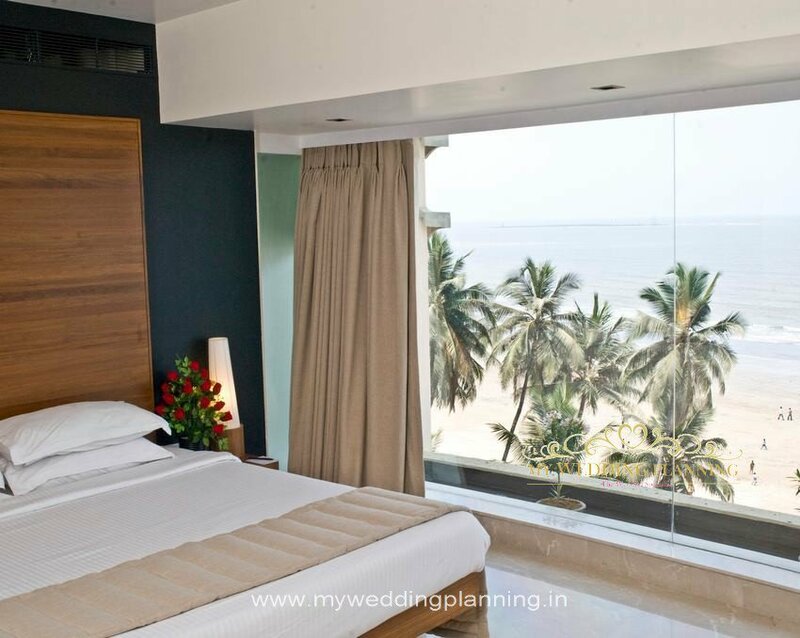 The hotel is undoubtedly one of the finest sea facing hotels in Mumbai. Weddings at Sea Princess makes every luxury a reflection of your taste and indulgence. Sea Princess is a mere 20-30 minute drive from the domestic and international airports and is located along the Juhu sea coast. It is close to the main suburban shopping malls as well as the Bandra- Kurla business district. The Sea Princess Hotel has set benchmarks in hospitality and is the proud recipient of the 24th International Award for the Tourist, Hotel and catering industry at Madrid, Spain. The Hotel has also won the prestigious International Gold Star Award for quality and excellence at Geneva, Switzerland. 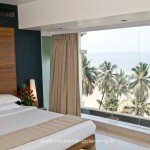 The hotel boasts of well-appointed guest rooms with great views of the Arabian sea. STARTING COST PER PLATE: Rs.700 Inclusive of Taxes. 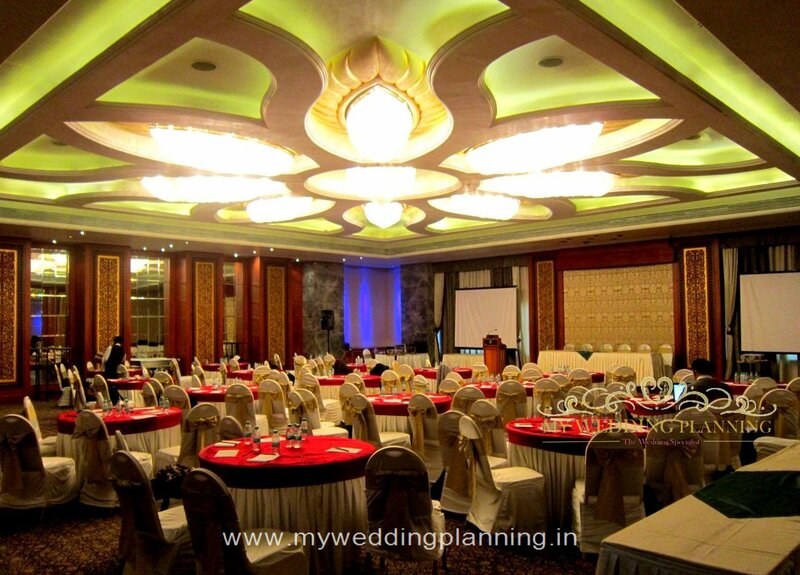 The hotel has 3 main banquet halls to delight your wedding guests– from small intimate get-togethers with close family and friends to mid-sized engagements or wedding receptions of 250-300 people. 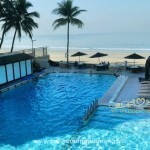 The hotel also has a beautiful beach facing outdoor venue that can accommodate up to 700 guests. This opulent, pillar less 3248 square feet hall is Sea Princess’s largest banquet location and it can easily accommodate between 250- 400 people at one go. 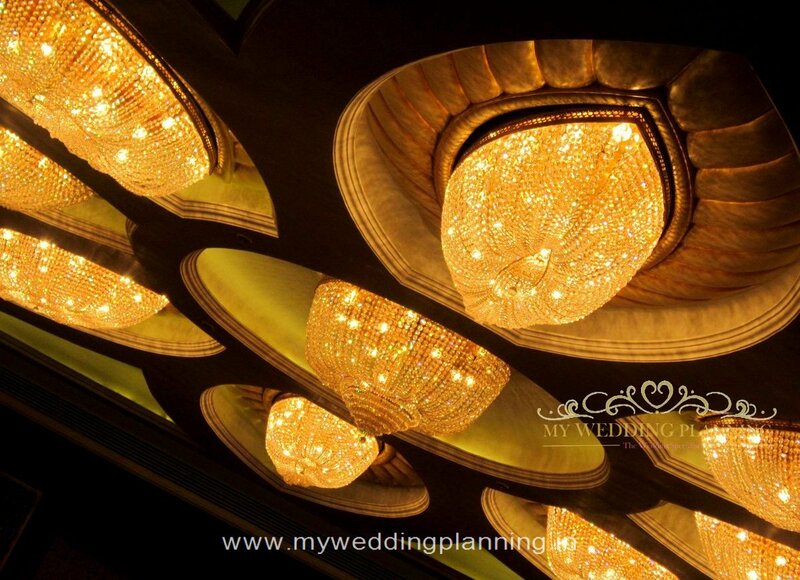 The Décor of the hall is lavish and the center of attraction is a massive crystal chandelier that is shaped like a flower. 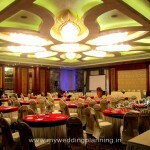 It is an ideal location to host a wedding reception, a cocktail party, a family get together or any other family function. 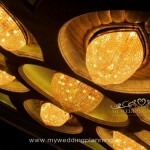 The Regal room offers you a luxurious 3248 square feet elegant ambiance to meet, greet and wed in style. The stylish interior, sophisticated audio/visual aids and ever attentive service will make your occasion a gala success. The Regal room offers you flexible space with sound proofed partitions. The Chancellor Banquet Hall is ideal for mid-sized parties and intimate functions. The halls can be split into two with a sound proof partition. 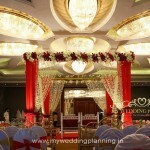 The halls offer you all the state of the art audio visual equipment to enliven your occasion. Chancellor is 1800 square feet and can cater to 100 guests. 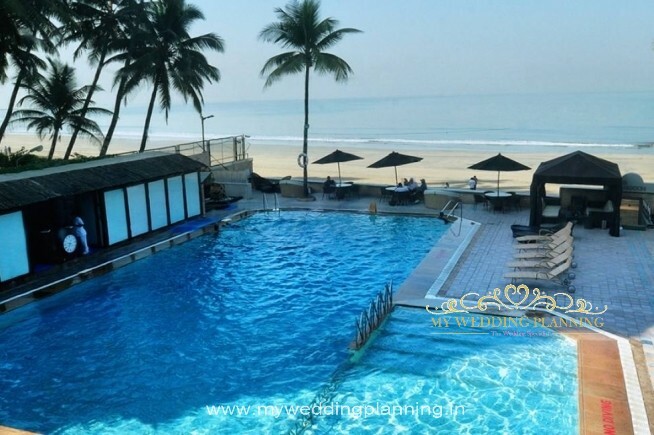 The Beach front Banquet is an open air banquet for wedding, receptions and events providing you with a breath taking view of the Arabian Sea. With the pool , grand decor and well lit trees around the evening will be a magical one. This pool-side and beach facing venue can cater to 700 guests. 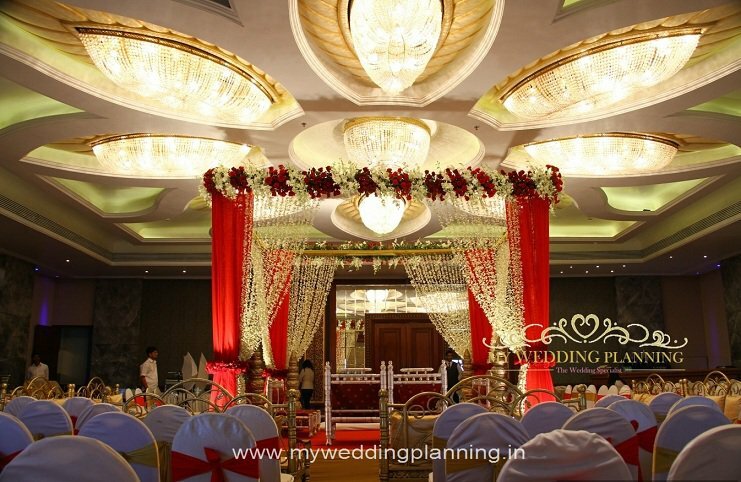 If you’re searching for your dream wedding location in Juhu, Sea Princess has many indoor and outdoor options that are unique in character and beauty. 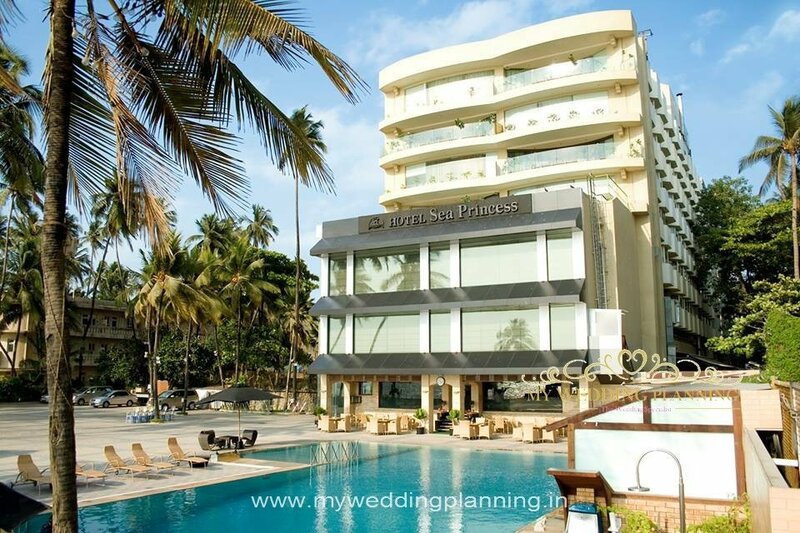 From the beach facing outdoor wedding venue that can take a crowd of more than 1000 guests to majestic indoor banquets, Sea Princess Hotel in Juhu is fit for a grand wedding. Sea Princess has wedding packages that include everything you’ll need to make your special day unforgettable.